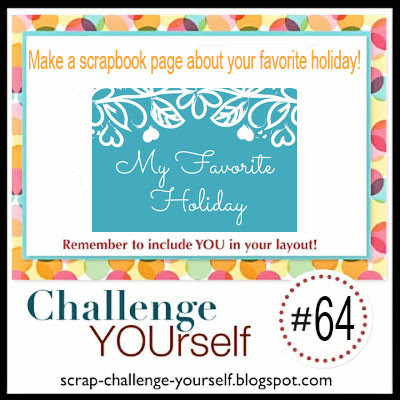 This month, Challenge YOUrself would like you to create a page about your favorite holiday! As always, please remember to include a photo with YOU on your layout. 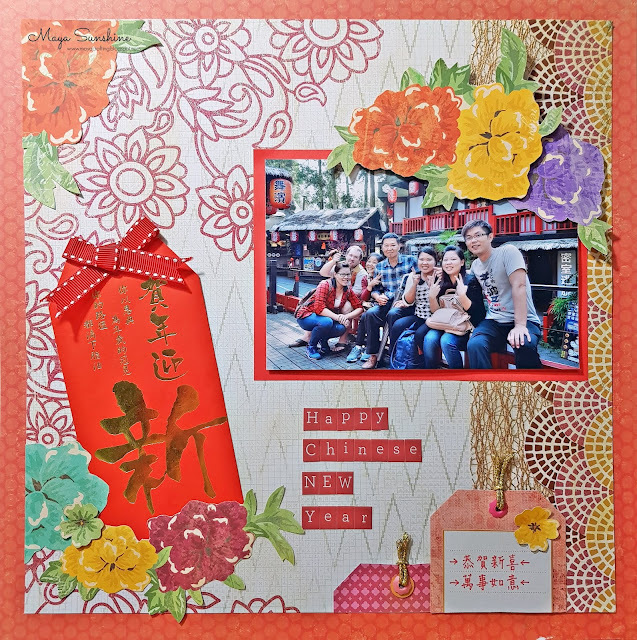 I scrapped a photo of me with my family during Chinese New Year. 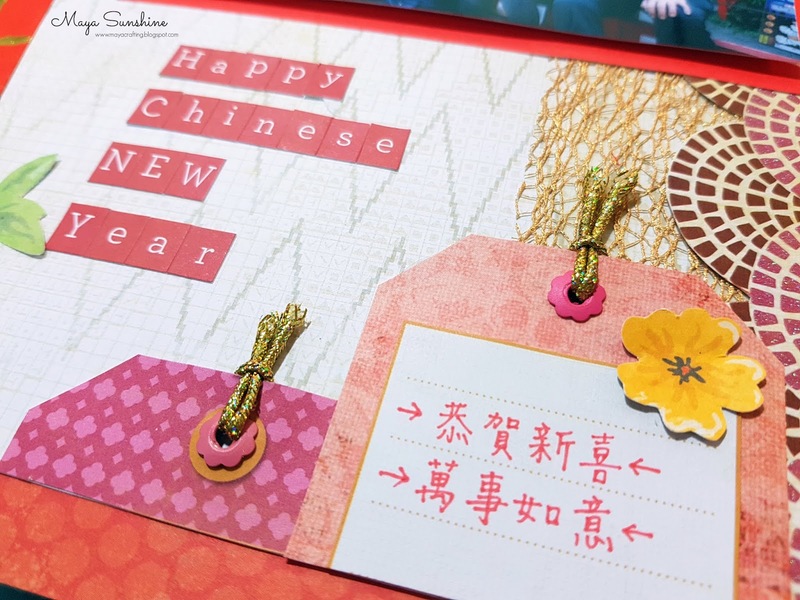 Yes, my favorite holiday here in Taiwan is Chinese New Year. 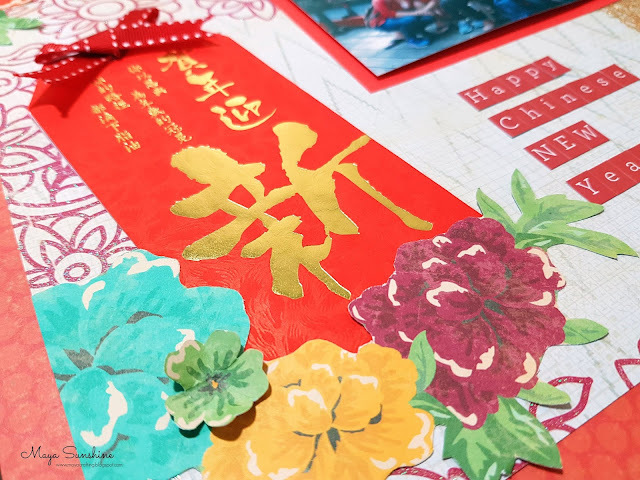 It is the Chinese festival that celebrates the beginning of a new year on the traditional Chinese calendar. It's also the time for family reunions. 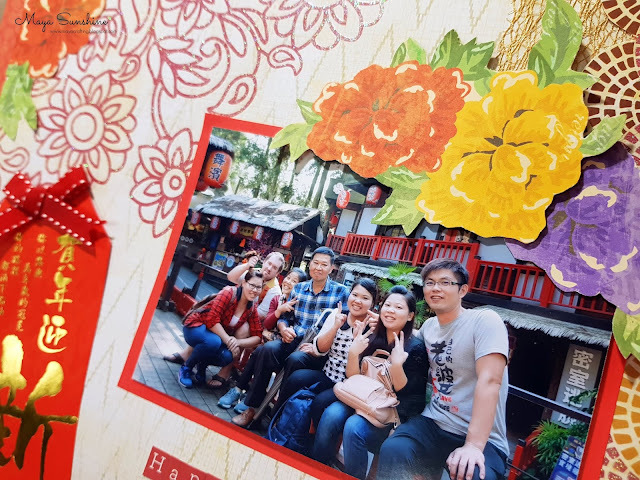 Every year during Chinese New Year, me and my family will arrange a family tour to several places in Taiwan and we have so much fun every time.